Award winning clan introduction You can introduce your Clan in this Clan Section and randomly 5 clan will be chosen and be awarded with 5000 Knight Cash for Official Server! RealMyko features a unique PK system which rewards players killing enemy players with "Blood of Revenge". killing enemy players with "Blood of Revenge". 3500 Blood of Revenge + Goldbar for Personel Weapon. 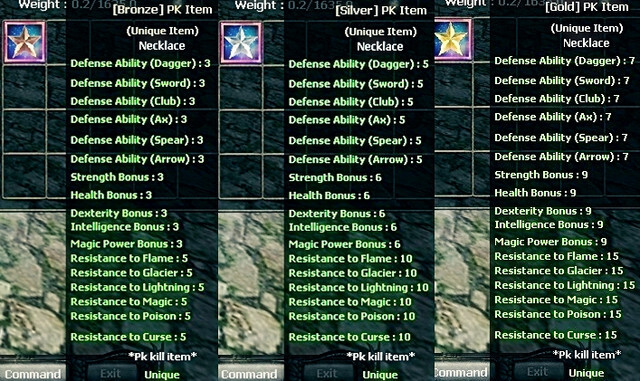 These blood of revenge can be exchange at the [Quest] Captain Nireas in CZ town for Trinas. Other items may be added during content updates. These monsters contain the necessarry materials for the level 70 weapons. Only 1 time. Unrepeated. Need Master and 72 level. When you collect materilas you can obtain your weapon from the npc “[Quest] Momentum” at Eslant. [Knight Online ] Light Farm Server ! Real MYKO ! %90 English users !